This year, the Spring cover of Vintage New York City Magazine is being decorated by a magnificent photograph, taken by none other than veteran photographer Kevin Steele. 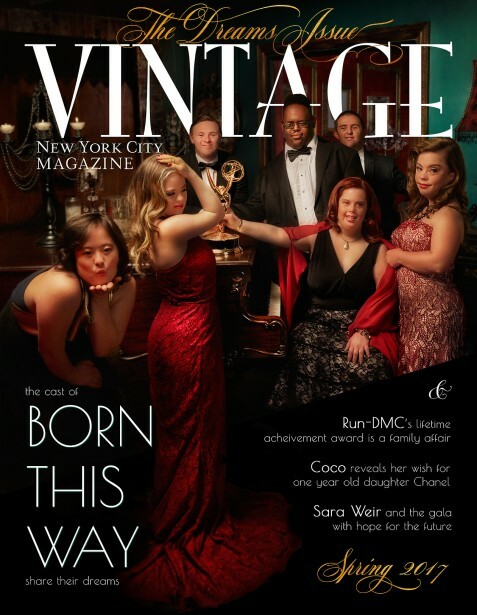 In what is also known as “The Dreams Issue”, the magazine’s cover and main story centers around the cast of the Emmy award winning show, “Born This Way”; a reality television series about seven adults with Down Syndrome who work hard to overcome society’s obstacles as they aspire to achieve their life-goals. Proudly sharing the image on their official webpage, Vintage NYC Magazine elaborated on why they chose the cast for their cover story: “We were inspired with their outgoing personalities and amazing abilities. They have inspired us with their passions and dreams as they explore friendships and romantic relationships, and defy society's expectations.” After two successful years, “Born This Way” is now being renewed for a third season.